The Portrait Sitting has been created for those artists who want to go one step further in their study of the human figure. Our objective is to enable the development of a very important skill for observation and expression of character and individuality in our sitters. Doing a portrait from life is a very different experience than using photographs. There is a greater rapport with the subject of the portrait as well as a better understanding of the person as a three dimensional being, with their own special quirks. There is no denying that it is a challenge, but over the time that we have been running this session we have discovered just how well our artists can rise to meet it. This is not a teaching class, but all of our participants are very willing to help and learn from each other in a friendly atmosphere of cooperation and achievement. The Portrait Sitting runs in conjunction with a Life Drawing session. The cost is $15 per person and you are free to move between the two without any further payment. During the year we hold special events such as all day sessions and extended sittings over several weeks. We aim to surprise you. 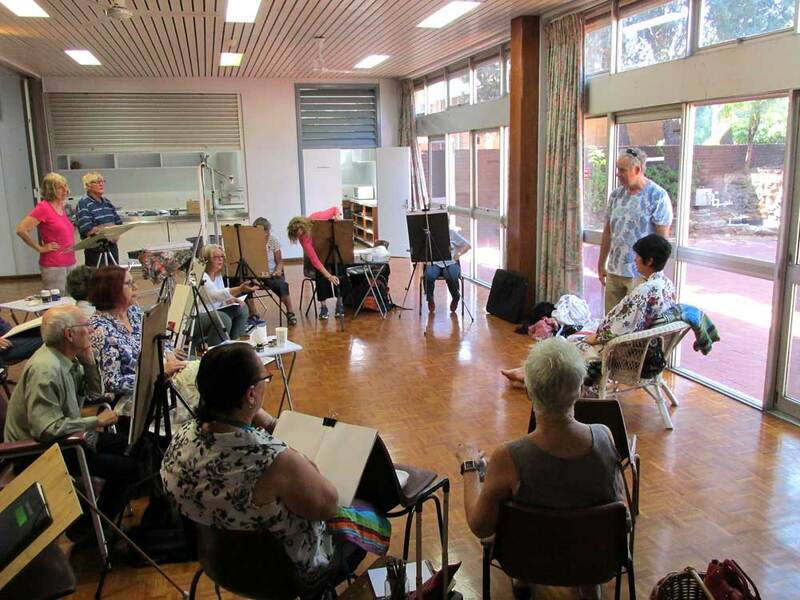 The Portrait Sitting is held at the Bassendean Main Community hall, off Old Perth Rd with rear access off James St, every Monday morning 9.30am-12.30pm (setup from 9.00am). It’s a few minutes walk from the Bassendean Railway station. You need to bring a drop sheet and your own drawing/painting implements. Easels are not provided. Please exclude the use of turpentine in your work. The cost includes refreshments. Parking is available around the Hall.